Business owners are quickly catching on to the fact that their customers care about more than receiving quality goods and services. The current generation of shoppers is adamant about using their voice and purchasing power to make a difference across the country. They prefer doing business with brands who are not simply about making a quick buck but in improving the community. 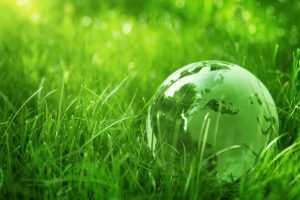 One way entrepreneurs have been able to uphold such demands is by going green. By reducing waste and conserving energy, business owners have been successful in showing their target audience that they care about more than the community dollar. Such an investment can vary in cost, but not only earns you the respect of consumers but saves you a lot of money in the process. Transitioning your files, forms, and correspondence to digital platforms and getting rid of all the paper in the office is, believe it or not, a small investment. You can transfer data to online platforms that include cloud storage accounts, word processing programs, and online forms, many of which you can find for free or at an affordable rate. This investment essentially eliminates the need for paying for copy paper, ink, and printer maintenance on a regular basis. Another cheap and easy way to go green in the office and save money in the process is to switch your traditional lights to some that are more eco-friendly. LED lights, for example, are a lot brighter and last a lot longer than incandescent lighting. Since it doesn’t require as much energy, you also won’t feel the heat that often exudes from traditional lighting. Switching out light bulbs will, in turn, reduce your energy costs and the number of times you need to replace lighting throughout the year. Here’s a green office tip that your staff will really thank you for, you pay for the coffee. There are some employees that purchase coffee from nearby shops while others bring in their own mini makers and instant coffee packs. 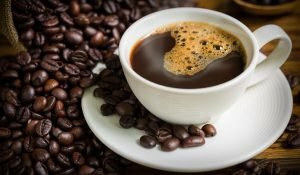 This means continual usage of the microwave as well as increased energy usage from all the various coffee makers being used in individual offices. Getting an office coffee machine eliminates the need for everyone to have their own. If you want to save even more and reduce waste, invest in real cups and silverware for the breakroom. This way, you don’t have to foot the bill on paper products. At the end of a workday, it isn’t uncommon for staff to simply log off but leave their computer and other office equipment running through the night. Though these devices may have some sort of energy save mode, keeping them on still wastes energy. Instead, have everyone completely shut-down non-essential devices and equipment at the end of each day. Running an office building is expensive. Not only do you have to pay the lease, but you’re also required to pay the utilities and any other services that are being used throughout the day. You can cut your budget a break by allowing your staff to work remotely on occasion. Even doing this once a week can reduce energy consumption in the workplace saving you a ton of money. Most of your staff use their own means of transportation to get to work. This means several cars on the road every day polluting the environment. You can go green by offering incentives to staff members who are willing to carpool or utilize public transportation to get to work. Not only does this help with emissions in the community, but it also cultivates teamwork. You can offer discount gas to those who carpool or to pay for weekly transit passes. Who knew that doing your part to save the environment could actually end up working in your favor? You create a safe environment for you, your staff, and the community to live in, you gain the respect and appreciation of potential customers, and you reduce waste and conserve energy in the office which, in turn, saves you a ton of money. The best part about it is, you don’t even have to invest much to see the benefits. 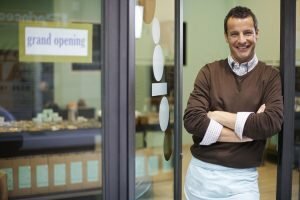 So, consider some of these changes in your small business today.